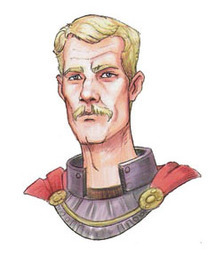 No nonsense to the core, Tereson Skellerang is the Captain of the Cauldron Town Guard. The Moonhowlers were hired by Skellerang to hunt down and end the graffiti problem plaguing the city. He has agreed to pay them 5 gp per goblin ear.